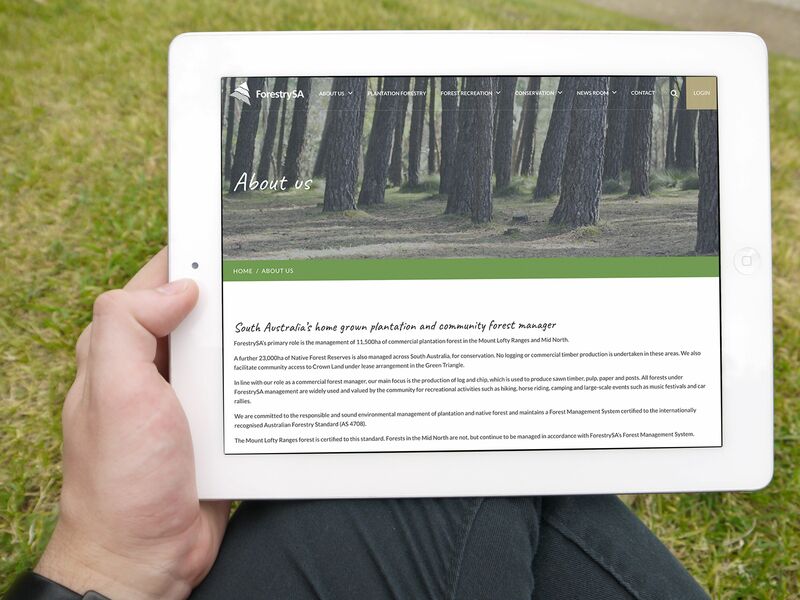 Redeveloped website for the corporation managing 11,500ha of commercial plantation forest in the Mount Lofty Ranges and Mid North of South Australia. The new website was required to incorporate a total design refresh, to bring it in line with contemporary trends, as well as reflect the ForestrySA branding requirements. This meant the user experience was carefully developed for functionality, usability, navigation, content structure, accessibility, speed performance and system architecture. This assessment process was completed to identify and implement changes in order to measure and improve the overall user experience and effectiveness of the new site. As ForestrySA are part of the SA Government, it was essential to apply regulations relating to security and usability, while conforming to brand guidelines as per the protocols. In this particular project, it was essential to apply the SA Government regulations that related to security and usability and so the website needed to conform to these branding guidelines. 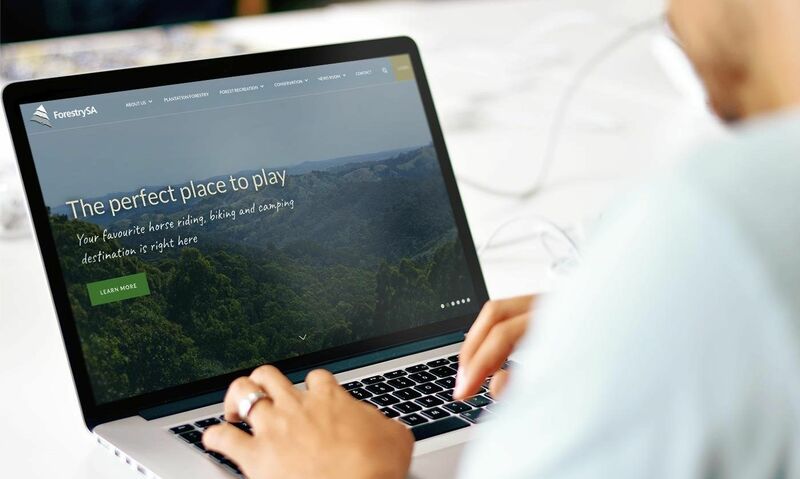 The site was designed to simplify administration tasks, such as adding alerts for fire ban days and accommodation listings within the forests. This simplified functionality meant staff workload was reduced and the online communication tasks would not only save time, but formalise efficiencies. Developed on a responsive framework, to ensure it was mobile-friendly, the site’s essential goals were accessibility and usability. Although there were few challenging aspects of this project, the main one was a strict budget constraint. In order to meet ForestrySA’s requirements within their budget and timeframe, it was imperative there was an efficient and effective plan implemented. An essential, but challenging part of the website development was the login portal calendar for external stakeholders to book a meeting room at their headquarters in Murray Bridge. This contractor portal also contains contractor-specific documents that are not available to the general public. This includes manuals, procedures, policies and other relevant documents. Extra time was spent to discover a way to build this to ensure it was effective and time efficient, as well as being within budget. Another challenge with the budget constraint was the strict timeline as ForestrySA’s previous CMS license was running out. This meant that The Digital Embassy had to meet the goals in the most time efficient way possible. Lastly, ForestrySA also required an alert function to notify users of current events or hazards. This functionality was a key aspect of the website because it would best be utilised by visitors and required definition so information could be sourced easily. Including this functionality brought about the task of creating a ‘sticky’ alert bar – a notification that stays in an allocated position as the user browses the website. This only appears on the website once updated on the backend with a notification of the alert, such as a bushfire. The Digital Embassy’s enhanced WordPress for Business framework is simple to use and highly intuitive for clients managing their own sites and content. It was developed specifically for business websites, with significant security and usability advantages over standard WordPress implementations. 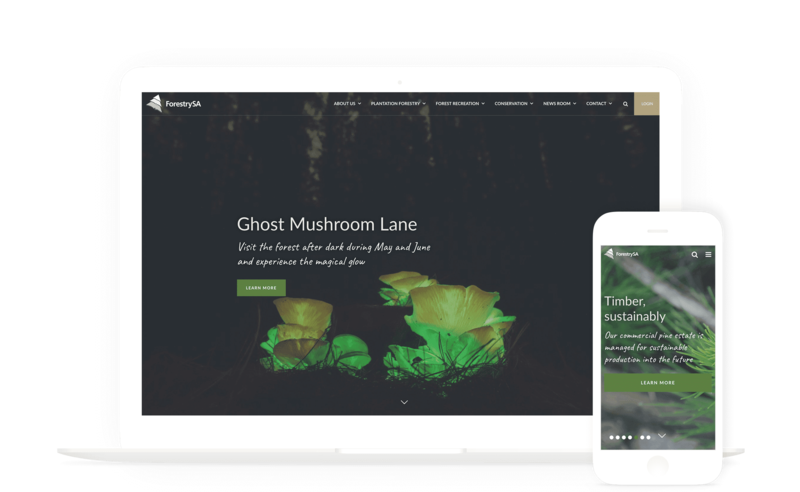 It was chosen for this project as a platform which would provide the best user experience for both ForestrySA and their website visitors. ForestrySA’s website has become a great site to source information for educational or recreational purposes and provides a modern and user friendly experience. 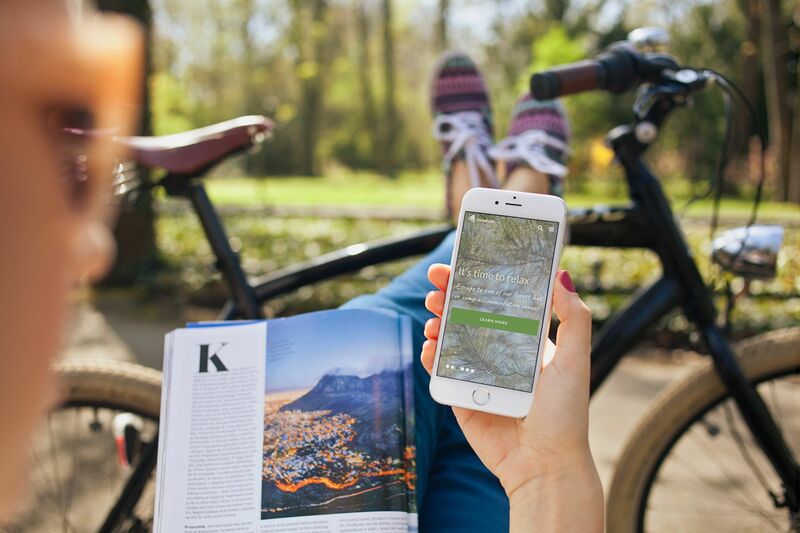 Key features such as simplifying the method to add alerts and alter accommodation listings have been developed to reduce staff workload and increase efficiencies for performing common tasks and processes. The new website is designed to simplify administration tasks, making it easy to implement content changes with minimal training. It was developed upon a responsive framework for mobile compatibility, conforming to SA Government branding guidelines.